This week entailed a lot of pumpkins and fall pretties in general. After a rough day on Monday, Zack made it all better with lots of surprises, including picking out pumpkins. 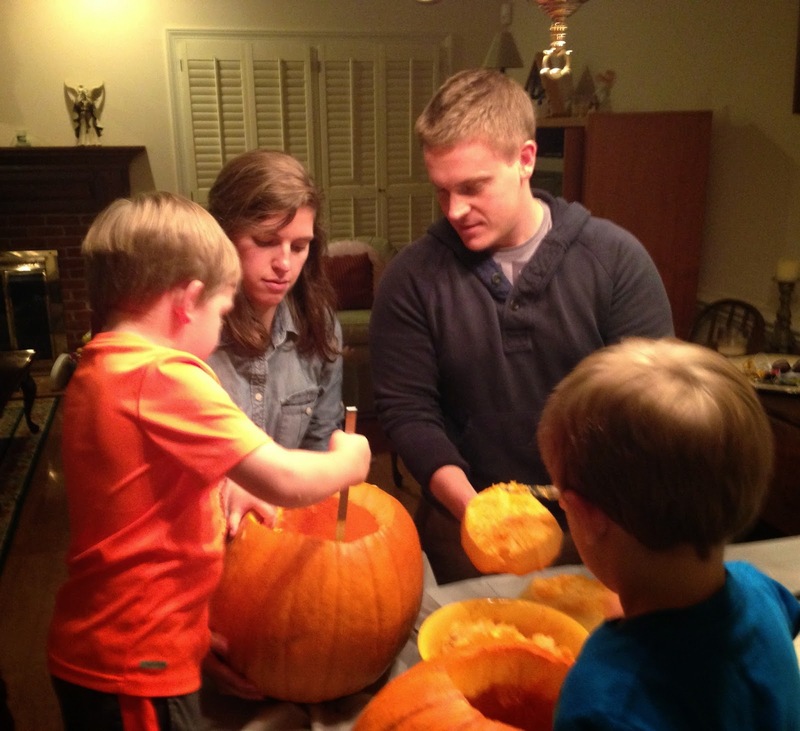 We took our parents a few tiny pumpkins and chose two similar larger pumpkins to carve with our friends. We learned a bit about carving pumpkins with children. A child may spend 90% of the time meticulously cleaning out the inside of the pumpkin and 10% drawing a face for you to carve. 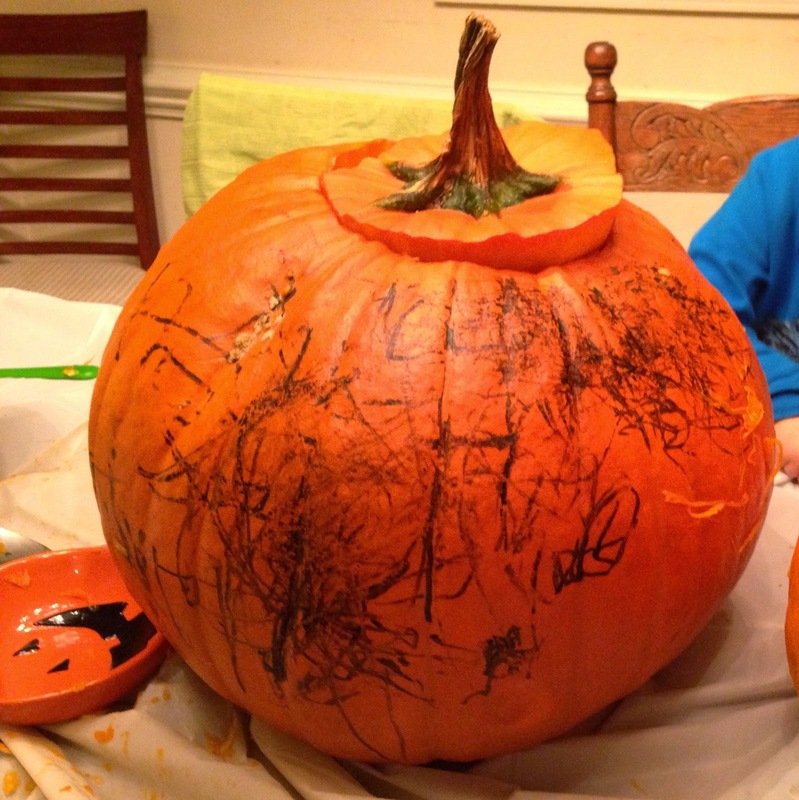 He may spend 99% of the time drawing tiny black marker lines all over the pumpkin then 1% of the time asking you to cut out a beard (where even is the face?). Each child has his own personality, and they are never boring. How much richer of an experience than just carving my own *perfect* pumpkin at home! I love that my small group includes children. Oh yes, these flowers! Hydrangeas are not in season this time of year, but I suppose any flower can be bought for a price, and they are my favorite. I am spoiled, and they made my Monday afternoon so much better. I whipped up some cream and sweetened it with honey to make a paleo topping for our paleo pie. My pup sure enjoyed licking the whisk. What pumpkin treats have you made this year? How are you celebrating fall?